Eclipse is on a mission to make skin cancer, HISTORY. 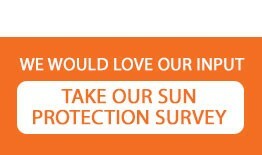 It takes all of us, as medical professionals, working together to educate people of all ages about the risks of overexposure to the sun. Eclipse Rx was developed to gently encourage healthy sun habits and to ultimately change the way people think about sun protection. We are currently seeking interested Board Certified Dermatologists to launch our Affiliate/Partner Program as well as other medical professionals. Eclipse Rx is a "skin win" for you, your practice and your patients. If you are interested in scheduling a meeting with the Eclipse Rx Team to discuss becoming an Affiliate/Partner please fill out and submit the form below. We will follow-up with you as soon as possible. Thank you for your interest!